How do atheists view God, Jesus, the Bible, Heaven and hell, sin and salvation? This book will give answers to these questions and provide the reader with greater understanding of this growing segment of our population. 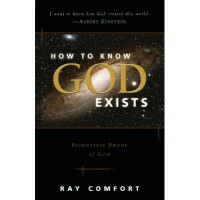 Paperback | 136 pages | Ray Comfort | Take a sneak peek inside. Famous Atheists - Their senseless arguments and how to easily refute them. What do atheists believe, if anything? What are some common lies they tell? What arguments do they make? 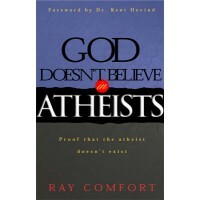 It will fascinate the reader to learn of some of those who are purported to be famous atheists, who weren't atheists at all: Albert Einstein, Mark Twain, John Lennon, Steve Jobs, Hugh Hefner, Bill Gates, Benjamin Franklin, and Charles Darwin. You will also get insight into the beliefs of Penn Jillette, Carl Sagan, Roger Ebert, Brad Pitt, Jim Jones, Jeffrey Dahmer, George Carlin, Christopher Hitchens, James Cameron, Jodie Foster, Billy Nye, Billy Joel and many more. What do these people have in common? How do atheists view God, Jesus, the Bible, Heaven and Hell, sin and salvation? This book will give answers to these questions and provide the reader with greater understanding of this growing segment of our population. “It was a great book on evangelism Review by Kurt S.